So, I just learned how to make Almond Milk from scratch from my uncle. It’s actually quite easy and if you have any almonds left over, they are much easier to chew as they are soaked in water. 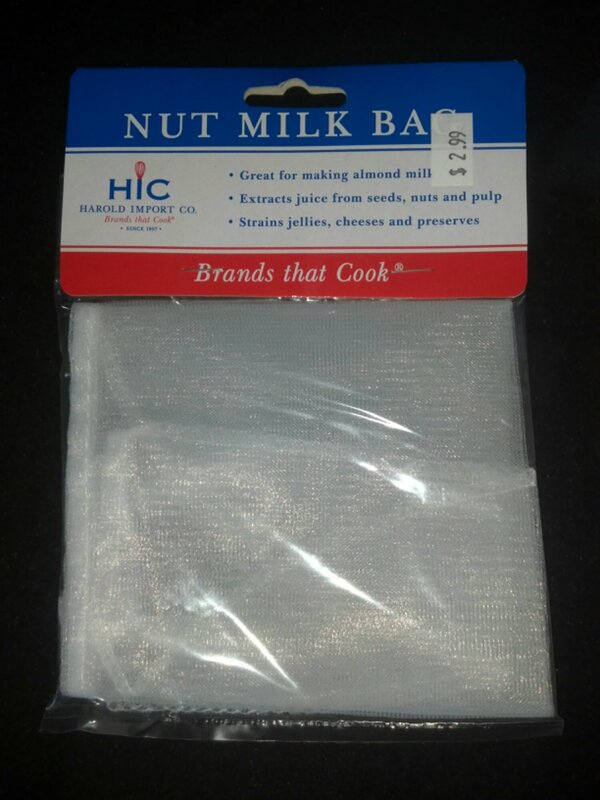 FIRST, take about 3/4-1 cup of raw almonds and soak then for 48hrs in the refrigerator. CHANGE THE WATER EVERY DAY!! 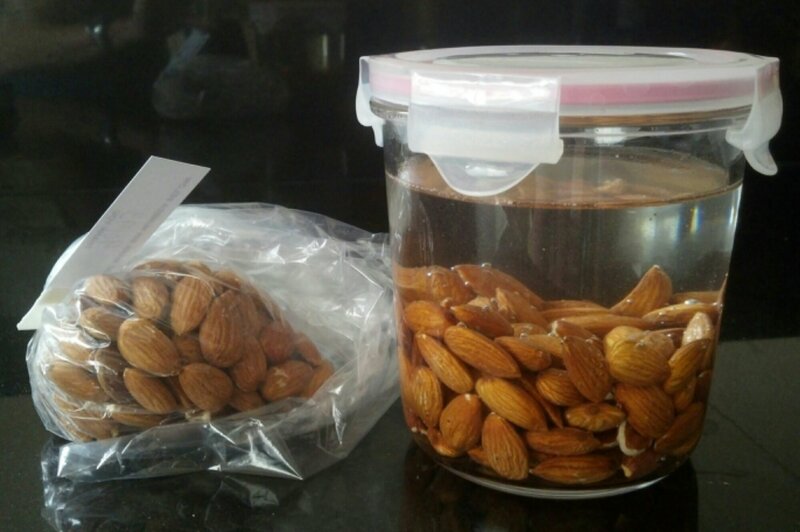 Next, take 1 cup of soaked almonds (without the water) and put them in the blender along with the 3 cups of water. Add the vanilla extract and dates and then allow the dates to soak for 10 minutes prior to blending the mix. 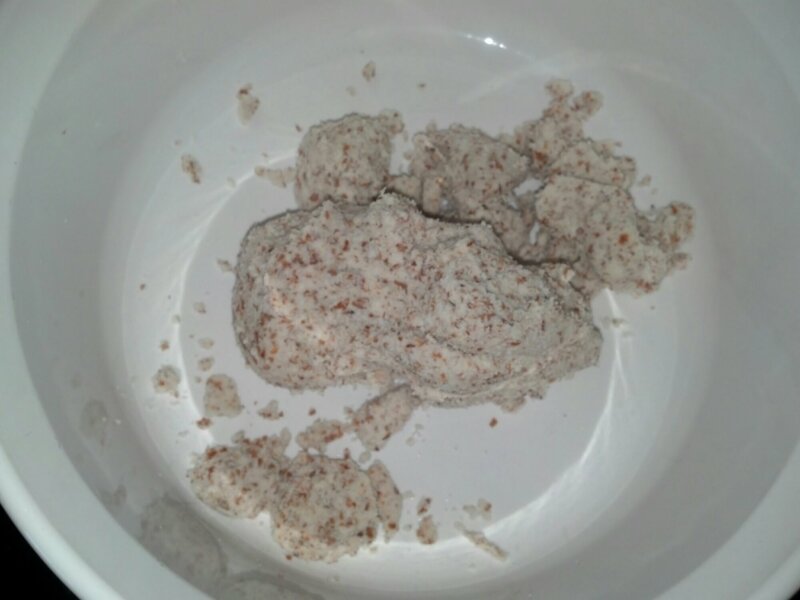 I put my blender on “liquidify” for about 3 minutes to make sure all the almonds were completely ground down. 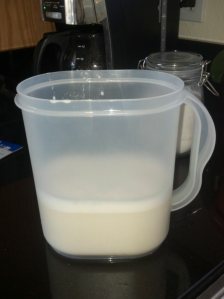 Place the milk bag into a large bowl and then pour the mixture into the bag. With your hands, if you want you can also wear food preparer gloves, squeeze out the liquid starting from the top and working your way down. P.S. If the Almond Milk is not sweet enough add more dates. 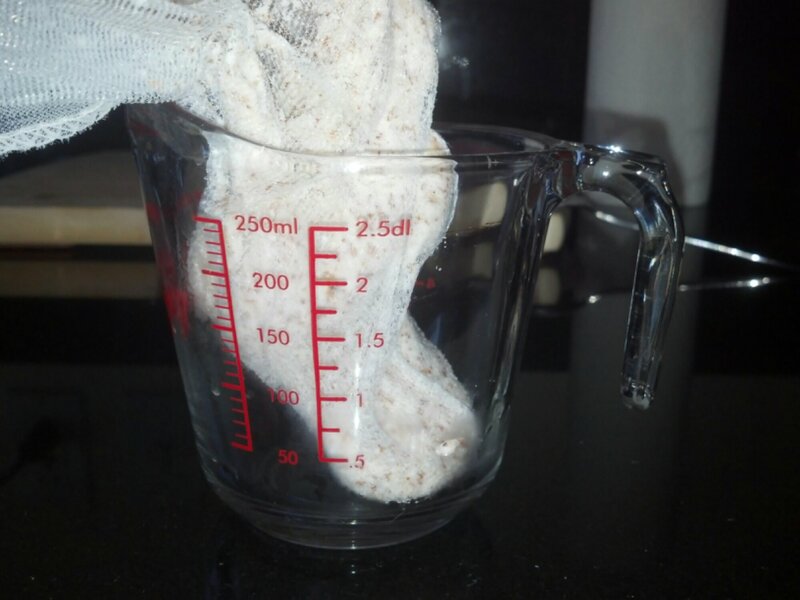 I will be writing another post soon on what to do with the remainder “pulp” from the Almond Milk.